The handpieces feature compact, miniature heads designed for superior visibility and accessibility, ceramic-bearing technology for smooth, quiet operation, and both models deliver a maximum of 400,000 rpm of power at 32 psi and have a 4-port spray for cooling. 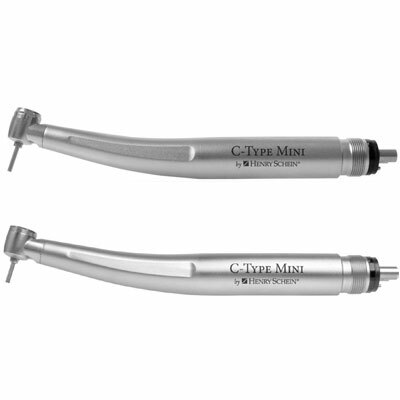 The C-Type Mini Push-button features a push-button auto chuck for quick and easy bur change. Both models are backed by a 6-month warranty and are fully autoclavable.